This is the first in a series of postings about a new book by Jonathan Wells: The Myth of Junk DNA. 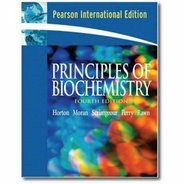 The book is published by Discovery Institute Press and it should go on sale on May 31 2011. I'm responding to an interview with Jonathan Wells on Uncommon Descent [Jonathan Wells on his book, The Myth of Junk DNA – yes, it is a Darwinist myth and he nails it as such]. This is misleading. You can consult the excellent article by Ryan Gregory on the origin of the term "junk DNA" to see what it meant in 1972: A word about "junk DNA". The bottom line is that the original meaning of the term "junk DNA" was much closer to what we now call pseudogenes. "Non-coding DNA" is that portion of the genome that does not encode amino acids. In the original paper by Susumu Ohno (1972) there was plenty of discussion about functional noncoding DNA (centromeres, regulatory sequences, spacer DNA). In addition, every scientist in 1972 knew that there were functional genes for tRNAs and ribosomal RNAs in the noncoding DNA. There was never a time when knowledgeable molecular biologists equated "junk" DNA and "noncoding" DNA. That doesn't mean that there weren't slip-ups from time to time as less knowledgeable scientists published articles on genome organization. There are even modern scientists (and science writers) who make the mistake of confusing "noncoding" with "junk." My point is that if you are going to answer the question accurately then you should represent the consensus view of most scientists who know that lots of noncoding DNA has a function. You should also attempt to present the modern view of junk DNA instead of implying that forty year old concepts still hold sway. The modern view is that junk DNA is that part of our genome that has no known function. It does not include noncoding regions like regulatory sequences, RNA genes, centromeres. telomeres, origins of replication, recombination hotspots, splice sites, minimal intron length, and scaffold attachment regions (SARs). The interviewer is Denyse O'Leary and her sympathies are clear in the followup question, "Why was it called “junk” in the first place? And why does all this remind me of one of those auction program episodes where someone is storing leftover carpet nails in what turns out to be a Ming dynasty vase? My mom loves those." According to Charles Darwin’s theory, all living things are descendants of common ancestors that have been modified solely by unguided natural processes that include variation and selection. In the modern version of his theory—neo-Darwinism— genes control embryo development, variations are due to differences in genes, and new variations originate in genetic mutations. In the 1950s, neo-Darwinists equated genes with DNA sequences (Francis Crick called DNA “the secret of life”) and assumed that their biological significance lay in the proteins they encoded. The 98% of our DNA that does not code for proteins was attributed to molecular accidents that have accumulated in the course of evolution. Since the 1980s, however, and especially after completion of the Human Genome Project in 2003, biologists have discovered many functions for non-protein-coding DNA. If the Ming vase is a living cell and the leftover carpet nails are “junk DNA,” it turns out that the nails are not only made of gold, but they also make an essential contribution to the beauty of the vase. There's so much wrong with this answer that it's difficult to know where to begin. Maybe I'll just summarize in point form and elaborate in the comments if anyone wants to discuss it further. Implying that junk DNA has anything to do with Darwin's theory of evolution by natural selection is totally wrong. No matter how you define "neo-Darwinism" the fact remains that most biologists who believed in adaptation were very skeptical of junk DNA precisely because it didn't fit with Darwin's view of evolution. The idea that as much as 90% of our genome could be junk was very much a minority view in the 1970s and it's probably still a minority view. The statement, "The 98% of our DNA that does not code for proteins was attributed to molecular accidents that have accumulated in the course of evolution" is wrong. There was never a group of knowledgeable scientists who thought that all noncoding DNA was due to accidents. 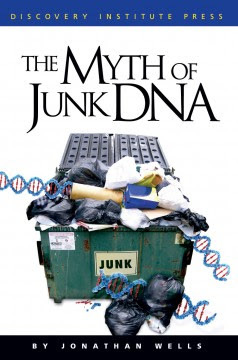 Beginning in the 1970s, there were some who thought that a majority of our genome is junk and some (I am one) still think that as much as 90% could be junk. It's worth emphasizing that this view (that most of our genome is junk) was promoted by a relatively small number of scientists and never adopted as the consensus view of the majority of biologists. It is misleading to imply that many functions of noncoding DNA have been recently discovered. The only discovery that could even remotely fall into that category would be additional categories of small RNAs that weren't known before. The well-characterized examples account for less than 2% of the genome. Everything else is speculative and controversial. In a word, evidence. The first to emerge was the fact that almost all of an organism’s DNA is transcribed into RNA. (So although most of it may be non-protein-coding, it codes for RNA.) From a Darwinian perspective, this is surprising: Why would an organism struggling to survive devote so many of its internal resources to producing supposedly useless RNA? Indeed, since 2003 it has become clear that non-protein-coding RNAs perform many essential functions in living cells. Among those of us who advocate junk DNA there are very few who have changed their minds in the past decade. Why is that? It's because we simply don't believe that the "evidence" of widespread transcription is meaningful. Those scientists who oppose the concept of plentiful junk DNA may have taken comfort from the transcription data but their minds weren't changed either. The truth is that there was, and is, a genuine scientific controversy and it has not been settled in spite of what the Intelligent Design Creationists tell you. Pseudogenes constitute one type of so-called “junk DNA.” These are segments of DNA that resemble segments that elsewhere (or in other organisms) code for protein. Yet RNAs transcribed from some pseudogenes have been found to function in regulating how much protein is produced by the DNA segments they resemble. Even if you added up all of the known examples of this phenomenon from every investigated species and stuffed them into a single genome it wouldn't amount to more than 0.01% of the genome. And there's no reason to think that the phenomenon is anything more than an interesting exception. Repetitive DNA, in which a non-protein-coding sequence is repeated many times, is another type of so-called “junk DNA.” Yet repetitive DNA is now known to regulate many essential functions, including embryo implantation in mammals. Also misleading. A few examples from diverse species do not make a difference. Indeed these exceptions tend to "prove the rule" rather than overthrow it. Wells is deliberately misleading his audience but he's in good company since there are many scientists who do the same thing. In order to have a serious impact on the junk DNA debate it's not sufficient to show that a few bits of repetitive DNA have gained a function in some species. You have to show that this generalizes to the 50% of the genome that's made up of repeated DNA of various sorts. There is also growing evidence that non-protein-coding DNA can perform functions that are independent of its sequence. One example is the region of a chromosome (called a “centromere”) that attaches it to other structures in the cell. Another example is the retina in the eyes of nocturnal mammals, in which non-protein-coding DNA acts like a liquid crystal to focus scarce rays of light. Denyse's last question is about me. "Can you interpret this for me, from Larry Moran (University of Toronto evolutionary biologist): “I don’t demand civility, but I do demand accuracy. When Denyse and her friends say that Darwinists promoted junk DNA I have to draw the line.” But he must be referring to my observation that originated in Francis Collins’s (US government’s chief 2000 genome mapper’s [!]) statements in a well-received and widely read book. Are there two types of truths at work here? Evidence, and … what? " When I use the term “Darwinist,” I mean someone who accepts and defends the theory I describe in my answer to Question 2. Crick and Orgel were Darwinists in this sense; so are Miller, Dawkins, Coyne, and Avise—all of whom have promoted the myth of junk DNA. When Collins published The Language of God in 2006, he not only promoted junk DNA but also wrote that “Darwin’s theory of evolution, that is, descent from a common ancestor with natural selection operating on randomly occurring variations” is “unquestionably correct” (pp. 127, 141). Sure sounds like a Darwinist to me. Collins also wrote that intelligent design is a “God of the gaps” position that is doomed to collapse with further advances in science (p. 193). But Collins has it exactly backwards: He and other promoters of the myth of junk DNA have put their faith in a “Darwin of the gaps” argument that must now retreat in the face of new advances in genome research. Several of these scientists have written about pseudogenes and the fact that their existence provides strong support for evolution and strong evidence against the existence of an intelligent designer. Most (all?) biologists understand that pseudogenes are an example of junk DNA. Wells has chosen the one example of junk DNA where there's an overwhelming consensus. They are junk. But that's not what the scientific debate is about. Pseudogenes are not a myth. They are a fact, and they make up as much as 2% of the mammalian genome. The scientific debate is about whether most of our genome is really junk DNA. I think Francis Collins supports this idea, with some reservations, but I don't know about Jerry Coyne or Kenneth Miller or Richard Dawkins. John Avise is, of course, one the main proponents of junk DNA being a majority of our genome. His book Inside the Human Genome: A Case for Non-intelligent Design was published just last year (2010). It's for those needing an antidote after reading the upcoming train wreck by Jonathan Wells. It is extremely misleading to claim that "Darwinists" promoted the idea that most of our genome is junk. Most biologists are skeptical of that claim and that's especially true of those who would be comfortable calling themselves "Darwinists." Denyse closes with one of her characteristic comments. Okay, everyone, back to work tomorrow in Darwinworld, where facts like these do not matter in the least. That's why I call them "IDiots." Facts matter to real scientists. The tough part about being a scientist is deciding what's a fact and what's not. Well showed us that he was not up to the task of behaving like a real scientist when he wrote Icons of Evolution and I suspect he's about to provide us with another example of misinformation and selective reading of the scientific literature. 1. Dawkins recognizes that there is some junk in our genome—pseudogenes are a good example—but that does not mean he buys into the idea that a huge percentage of our genome is just junk. "It's for those needing an anecdote after reading the upcoming train wreck by Jonathan Wells." Would that be an "antidote"? 1) At no time did biologists in general assume that noncoding = nonfunctional. First, for the reasons you note (i.e., centromeres, telomeres, etc.). Second, because every single type of noncoding DNA, when first discovered, was discussed in a "it isn't clear yet what its functio is" mode. I have gone through a rather large collection of the relevant literature from the 1970s to the present, and there is no evidence to support the claim that noncoding DNA was just dismissed as useless. 2) Strict Darwinian theory predicts functions for noncoding DNA, and this is very clearly what people were saying early on. If it has no function, it should have been eliminated by selection. The "selfish DNA" theory was a direct response to this Darwinian assumption. It is completely incorrect to suggest that the concept of huge amounts of functionless DNA follows from a strict interpretation of "Darwinism". I wonder is our old pal Mr. Denny will show up, given that he tried to make a big issue over junk DNA on a previous thread. "Denyse closes with one of her characteristic comments." It's a puzzle to me why Ms O'Leary has apparently become one of the leading spokesperson for the ID movement. In fact she is now by far the most prolific poster on UncommonDescent - averaging sometimes 3-4 or more posts a day. Not only is she famous for her snarky, mean-spirited style, but her posts are often simply non-sequiters with no discernible point - and sometimes so garbled it's hard to even unravel what she is trying to say at all. I'm sure there must be many on the ID side who must be equally embarrassed, so it's a puzzle why they let her dominate the UD blog so much. Perhaps we should be cheered by this - if this is the best they could do for a primary spokesperson it doesn't say too much about the health or attraction of their cause. 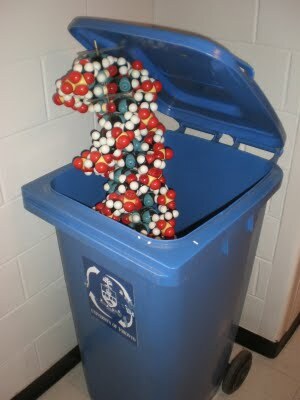 Thinking about "junk" DNA I have question. Is it possible that the non-coding and possibly useless mass of DNA has function of protecting the coding DNA from radiative or other damage? Is it possible that organisms which possess more of this "junk" are more resistant to such damage and survive to reproduce better than counterparts with stripped down genomes? If so, it would seem reasonable that "junk" might accumulate in certain genomes for its protective quality. Does Excess Genomic DNA Protect Against Mutation? Ryan has given to links to his posting and mine. The bottom line, as far as I'm concerned, is that this is not a viable hypothesis for several reasons. 1. Radiation damage is not a significant source of damage or mutation in most species. 2. The most severe consequence of radiation damage is double-strand breaks in DNA. Increasing the size of the genome actually enhances the risk. 3. High energy particles already have to pass through lots of biological material in order to damage a gene (skin, bone, membranes, proteins, etc.). Increasing the amount of DNA will have a negligible effect. "Interestingly, in the “nail dump is Ming vase” story, no one insists that nobody ever thought it was just another piece of junk. 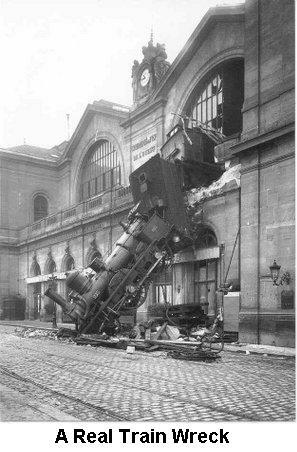 They almost always say, “Yes, we thought so but had no idea …” So what’s behind the failure to admit an error in this case?" "Some claim that ID theorists predicted the finding and others claim they didn’t. What’s your take?" Since those sections are directly relevant to the point you are making, why did you exclude those sections? Perhaps you will be responding to those sections in a later post in your series? If a DNA sequence has been changed could the previous DNA sequence be kept as a pseudogene? As stored history? "Nonetheless, pseudogenes contain fascinating biological and evolutionary histories within their sequences." These types of arguments are incredibly pervasive in the creationist literature. Just search their website for the term 'junk DNA' and a whole series of such articles appear. Barry. The new RTB ‘Junk DNA’ series will include visiting RTB scholar, Dr. Patricia Fanning. I described her credentials and publication record in my Comment 3 of 3 at Larry’s "Hugh Ross Teaches Us about Evolution" post. 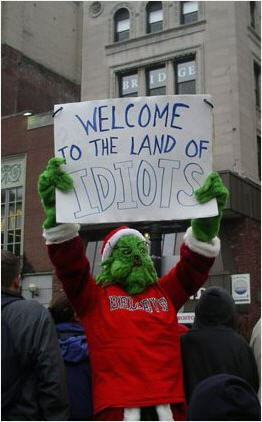 I wonder how many Sandwalk fans will venture into enemy territory for the sake of a little friendly competition. In addition to the answers linked above, you could consider the following: if a battlefield is raked by random sniper fire, and you have 100 well-camouflaged soldiers, will you suffer fewer direct hits if the soldiers clump together (in an analogue of a junk-free genome) or are widely separated by unimportant terrain (rocks, trees etc, packing the 'genome' with disposable material)? The answer, I think, is that it can make no difference. Since the frequency of mutation is usually a function of genome size, a tenfold increase in genome size brings with it a tenfold increase in the number of mutations per genome, and hence no reduction in the number of 'harmful' hits. The FACT is that evolution-accepting scientists were predicting - and finding - function in 'junk DNA' DECADES before Dembski or any other creationist predicted anything about anything. According to John West, the fist ID prediction of function in junkDNA was by Dembski in the 'latter half' og the 1990s. He also refers to a letter from Mims in 1994. "A general function of noncoding polynucleotide sequences"
And there were many others that showed up in my simple searches that I am astounded that super scienticians like Dembski and Mims just, darn it, didn't know about when they made their amazing Creationist predictions decades after the fact. I am reasonably confident when I predict that Wells' book will not contain those citations. They would damage his story line. If they do appear, at best, they will be mentioned as exampels of a few who 'bucked the trend' or went against the 'mainstream dogma' or some such rot. "It is true that some biologists (such as Thomas Cavalier-Smith and Gabriel Dover) have long been skeptical of “junk DNA” claims, but probably a majority of biologists since 1980 have gone along with the myth. The revisionists are misinformed (or misinforming)."